Mantra: Find your true North. Our new collaboration is with leading international wellbeing brand, Wanderlust. Wanderlust has a mission of helping you to find your 'true north' to cultivate your best self. 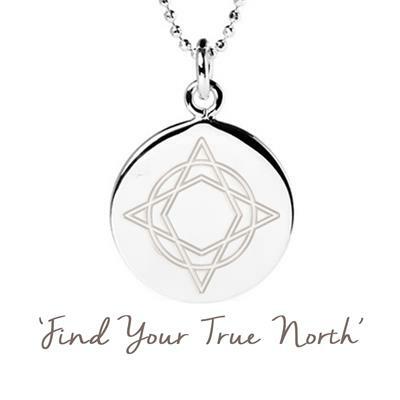 The Wanderlust x Mantra collaboration is a Sterling Silver disc with a compass - the Wanderlust symbol - cast onto one side, and the inspiring mantra, 'Find your True North', engraved on the reverse. Perfect for practitioners of yoga, meditation and mindfulness, or a gift for a friend on a journey of self-discovery, or seeking a new direction in life.